I had so much to post about last week and then I just didn’t. Instead I took some time to focus on the the family time and holidays and really just enjoy the peace of the season. 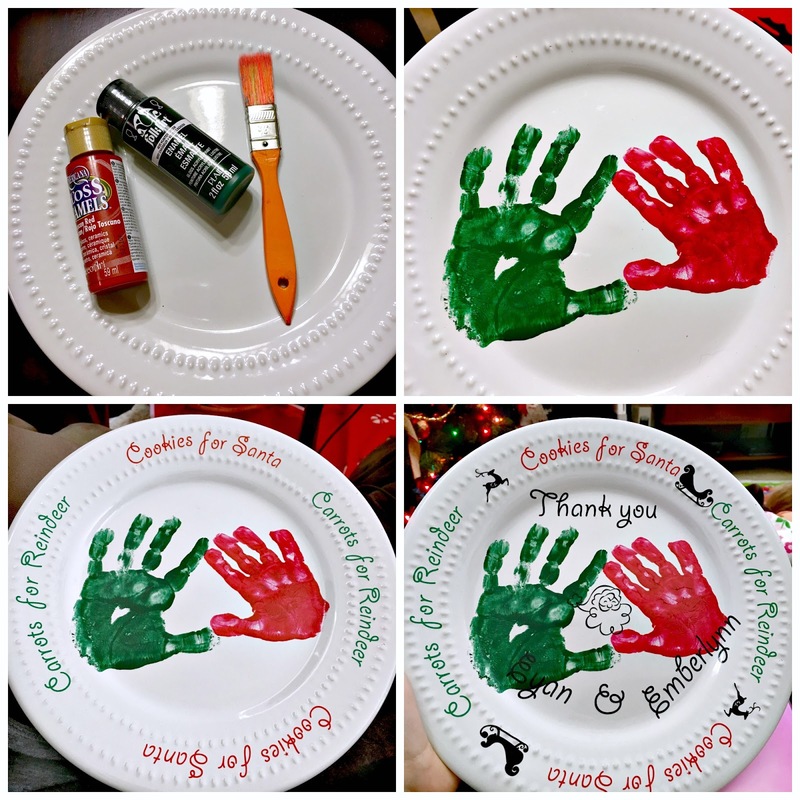 Here is our Christmas recap with a mini Santa Plate tutorial! 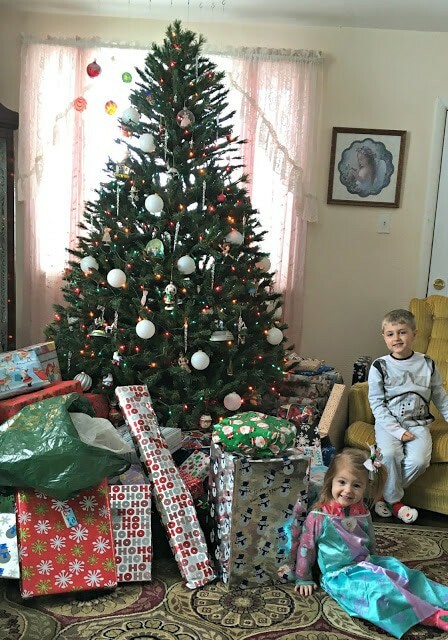 Christmas nearly did not happen in my house. I forget how difficult being a stay at home mom is and how hard that transition is on both my kids and I. 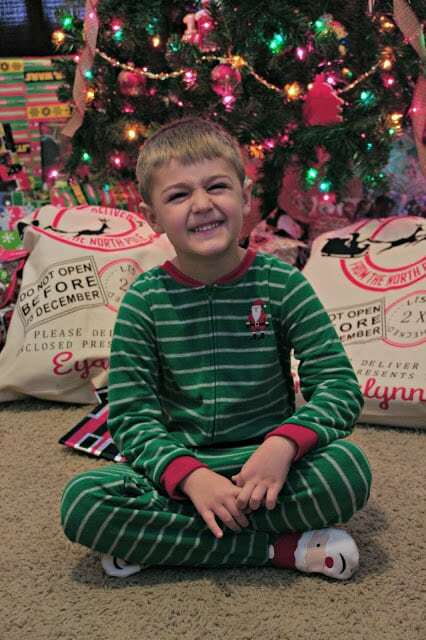 They are out of schedule and so am I. Needless to say my son was a grump and the elves stole the tree. 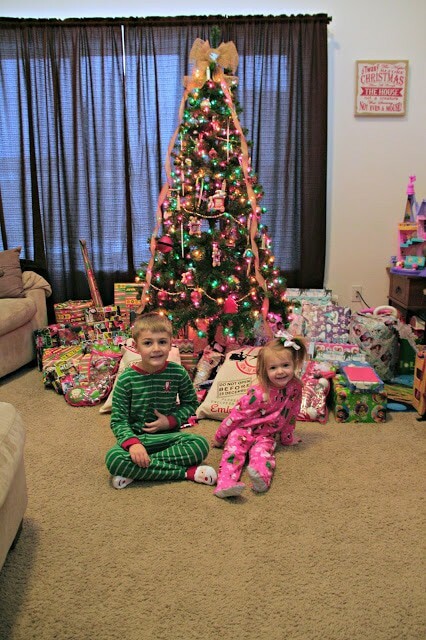 I went back and forth about returning it, but in the end, my son is 5 and my daughter is 2 and they will never forget the year that they tree disappeared. So instead, I prepped for Christmas. I spent the morning of Christmas Eve making this Santa Plate. We have always just used a lame plate and cup that I had. I picked up this white plate and cup as well as some enamel paint and got to work. First we did each of the kids hand prints using the enamel paints. Once they air dried for 1 hour I popped them into the oven. Put them in as soon as you start the preheat then heat the oven up to 350 degrees and bake a total (including preheat time) of 30 minutes. Remove from oven and let cool. Once cooled, use your Silhouette machine and cut out designs to decorated with. I chose a font and used the arc tool to round the font then I found some designs in the Silhouette store and purchased those. Make sure that you purchase vinyl that can be hand washed, I bought outdoor vinyl and it works great! A post that I did not complete this month was my Christmas Mantle Makeover. I have done fall, Halloween and Thanksgiving and plan to do one for Valentines Day, St. Patricks, Easter and Forth of July. However, I sort of figured that Christmas mantles are pretty standard. 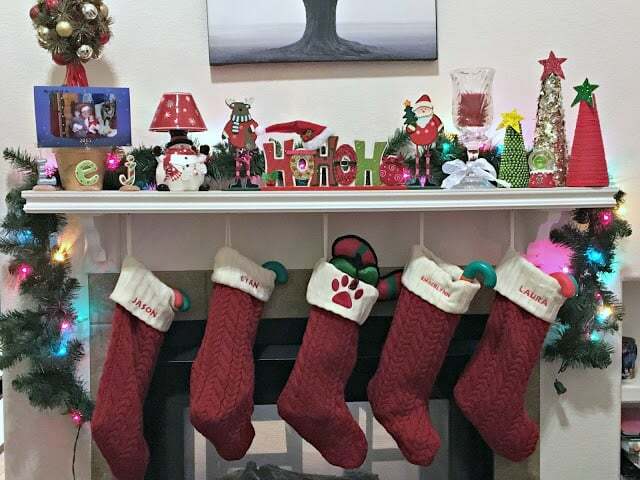 Stockings, santa picture, some lights and cute little decor. I do love my mantle and truly love the collection of items over the years that grace this centerpiece of our home. Once everything was set, I crashed for about 5 hours before the kids woke. Christmas morning we had a full house and the kids were ready to rip into the gifts. It always appears like they have a TON to open but in all honesty, I wrap even the tiniest 1.00 gifts to make it last longer. Before we started we did the mandatory picture of Christmas in front of the tree. It is getting harder and harder to get their photos because they are really into the silly faces. This one just won’t look at the camera anymore, which is also super fun. 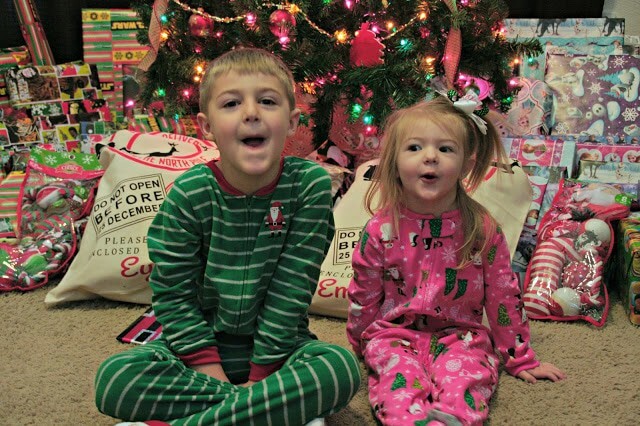 However, even those silly faces are just my favorite so we will take it and get to the gifts. 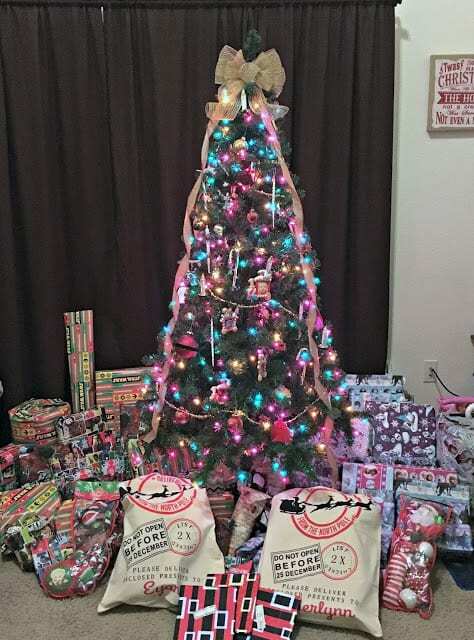 Santa came! 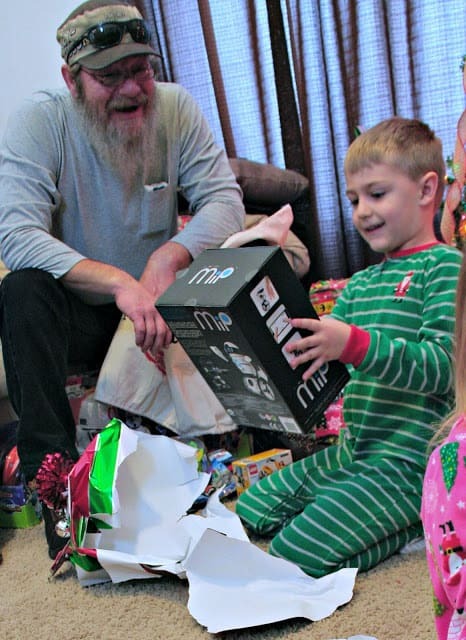 My son got the robot he has been obsessing over for several months. It was like the best day of his life and I think if I let him take it with us everywhere he totally would. In his defense this little guy is really cool! You control him with an app on a phone or tablet, you can feed him, you can make him carry things and balance items and he can even have battles and dance contests. There is a lot of entertainment with this toy. 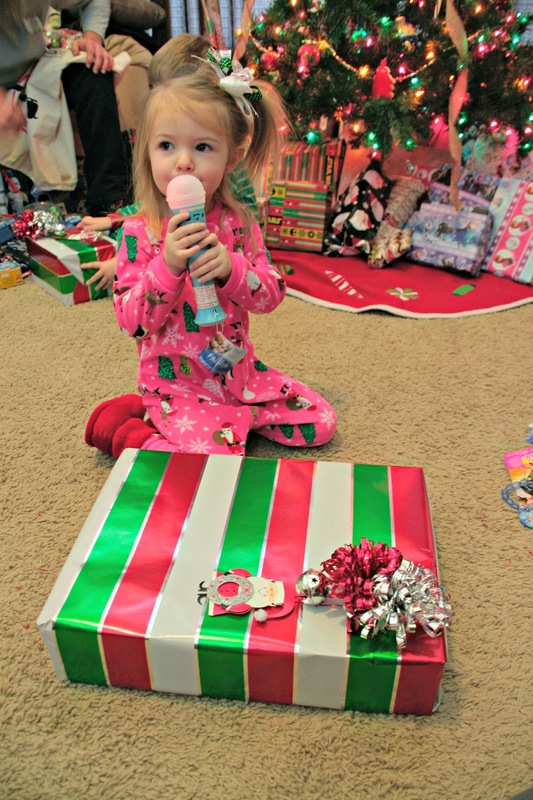 The princess was not as excited about her Santa gift because “FROZEN MICROPHONE”. Between this and the karaoke machine she got, we could not get her to stop singing “Let it Go.” Either way eventually she opened the gift and pushed it aside to grab the microphone again. We concluded the messy Christmas morning with the Disney Parks parades. Of course my kids had to dress up. 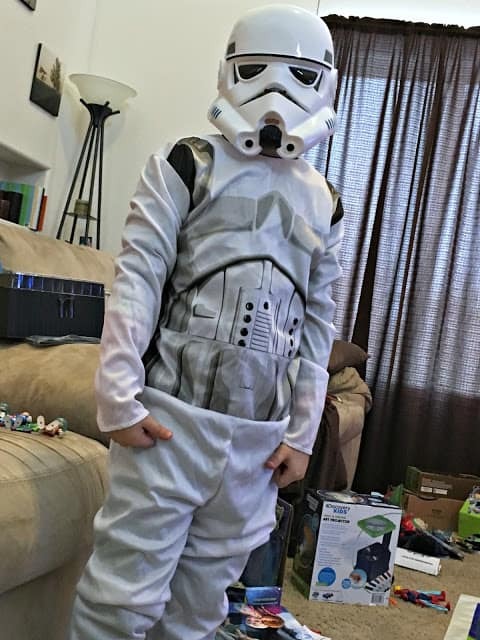 My son went with storm trooper, because Star Wars. My daughters choice? Elsa…Always. We packed up the storm trooper and Elsa and headed to my parents to finish Christmas off. My mom wanted a couple photos in front of her magical tree, so I managed to get one that looked decent. 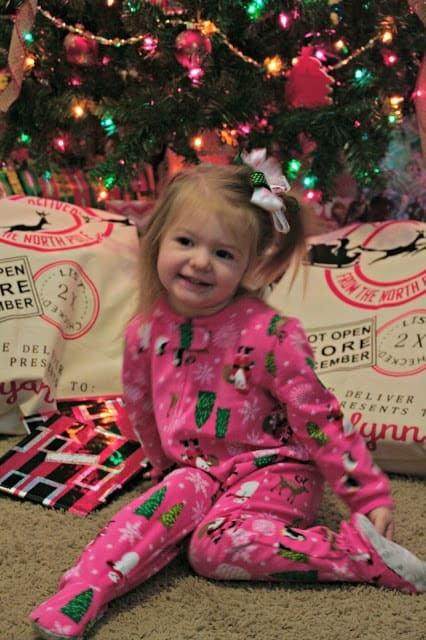 We all stayed in our PJ’s and enjoyed a wonderful dinner, and great time with family. The gifts were great, but the company was better. 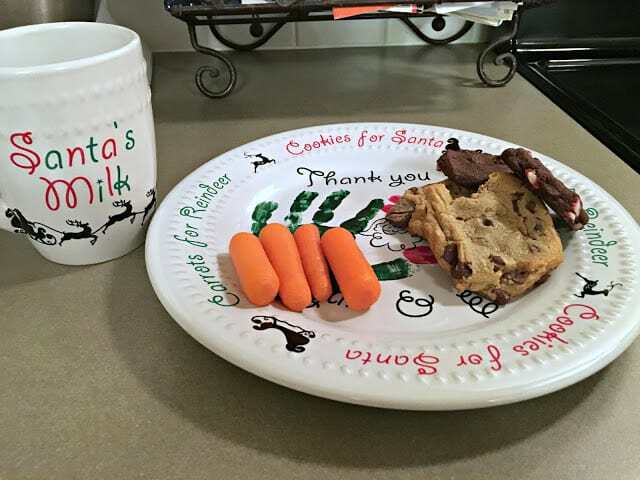 However, the best part of the day…giving our daddy this. A couple days earlier the sister and I got together and built this. We purchased some lightweight wood and trim as well as the frames. 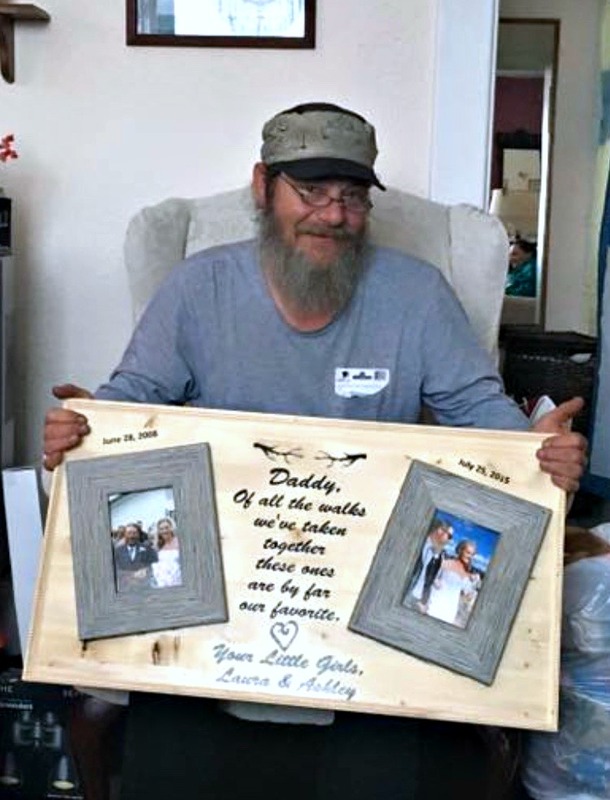 Then we came home and cut out the saying with my Silhouette and transferred it to the wood. 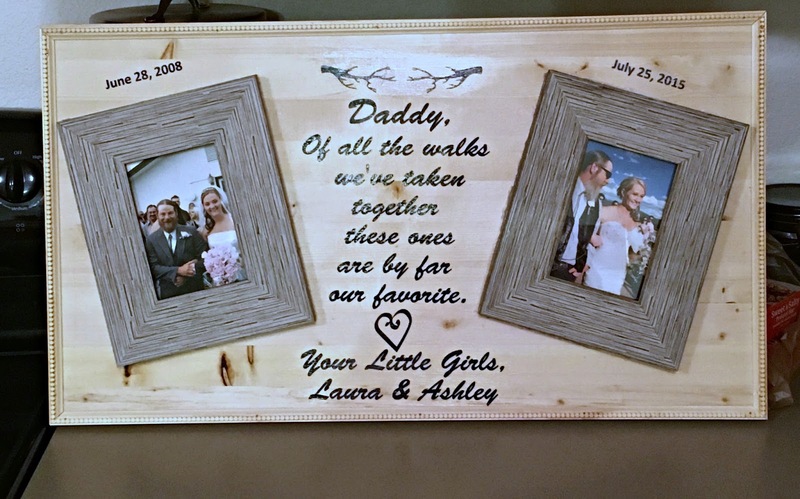 To make it stick permanently we used Mod Podge and then we hot glued the frames to the wood with A LOT of hot glue. The old man cried and put it up immediately in his man cave. It was pretty much the best gift ever. Overall, Christmas was wonderful. I suspect that 2016 will be incredible! How was your holiday? can you wash the plates? if so how? Yes you can wash the plate. In the sink with soap and water is just fine. It is usually a safe bet to go with the old “hand made = hand wash” mantra. We are on year 4 with ours and it is still in beautiful condition! I am trying to make these this year. I just bought regular paint. Can I still do the oven time and it will work? You definitely want to get the enamel paint to bake them. Regular paint does not work.